Think these statistics, sourced by the USA Traffic Bureau Authority, are unrelated to prospect drivers’ buy-in? 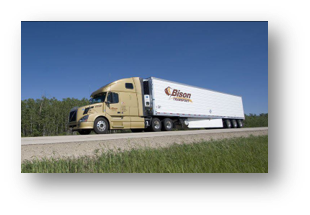 Ask Lionel Johnston, Corporate Marketing Manager at Bison Transport and TMSA’s Communication Committee Chairman who says: “Drivers apply with us because they recognize our equipment and the quality our image projects." Sure, decals aren’t the answer to everything but they impact more powerfully than most would believe. Take a look on the road. Think carefully about which companies out there appear to have superior capacities with above average driver recruiting and retention. Most have an above average pay, they respect their drivers and, their brand is solidly established. When you next hear your Operations and Maintenance departments say they have limited or no capacity to meet the demand of that next deal you brought on the table, think about your recruiting department and their strategies. Is your brand strategically integrated, designed to maximize your clients’ buy-in yes but, does it factor-in your prospect drivers? Rightfully so, most fleets will spend enormous resources looking to save a fraction of a penny on fleets’ top high-ticket items such as fuel, recruiting, insurance and tires. Except for successful sophisticated fleets, decals will be at the bottom of the totem pole with little or no attention. Why is that? Because they do not understand the massive influence a solid brand can have. That is, even on the drivers. The fleet decals and branding vertical market is a growing $600M market. There are approximately 10 top North American well-established suppliers at the top of that “food-chain.” The rest consists of thousands of well-meaning shops but more often than not they are unaware or unable to understand the branding a sophisticated fleet needs. Those simply do not have the purchasing power of top performers. Fleets who don’t lift that stone frankly are at high risks of leaving money on the table which could be invested into being even more competitive. But beware! Not all decal materials are created equal and that is where your maintenance guys will be key contributors. Comments on "Equipment Branding, Decals Impact Drivers & Clients"